Add The latest HPE 6ft Qty 8 KVM CAT5 Network Cable to your HP TFT7600 G2; IP console switch 1x1x16, 3x1x16; Rack; Server Console Switch. 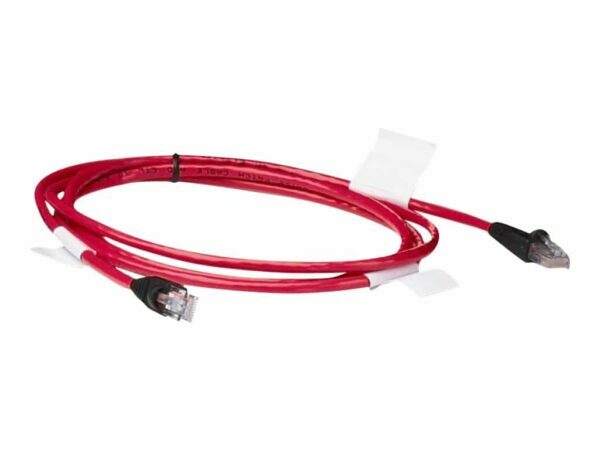 The HPE CAT5 Network Cable Designed to ensure optimal transmission speeds and reduce crosstalk for reliable gigabit Ethernet and data networks. Available in various lengths and types. Category 5 (CAT 5) Network cable is used in LAN and Premises cabling. Qty 8, 12ft Qty 8 KVM CAT5 Network Cable by Hewlett Packard Enterprise.